Rising Dancehall star, Nutty O, born Carrington Simbarashe Chiwadzwa, will be making his debut on Australian soil with “Lets Talk About It” tour slated for 12-14 October around Australia. The “Boom Shelele” hitmaker joins veteran artist Sani Makhalima and unseasoned hit-maker ExQ to complete a trio that will date Melbourne on 12 October, Perth 13 October and Brisbane 14 October. 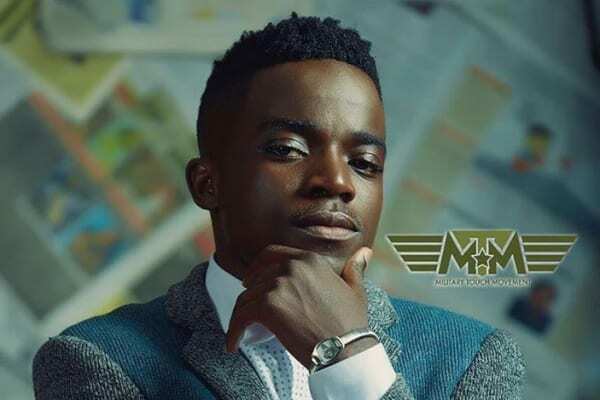 Speaking to 263Chat, Nutty O’s manager, Byron Kabaira, expressed joy on the Bugatti hit-maker’s latest breakthrough mentioning it as the Military Touch Movement’s (MTM) man longest international tour so far. “He’s currently on his longest international tour thus far, having toured Botswana and South Africa consecutively in the last 2 weeks and proceeded to Australia for a tour of 3 cities this weekend of 12 to 14 October,” said Kabaira. He also spoke on upcoming projects. “He has lot of upcoming projects among them a few international collaborations which I can not disclose now. Early next year he will also be launching his debut album,” he added. Meanwhile, Nutty O recently featured Zambia’s Trevor Boganz, “Loneliness” together with the Amarula hitmaker Roberto.